geometry of this years formations which indicated the mystical elements encoded within. Stuart takes the viewer on a journey of discovery through 2007. He unravels the mystical properties of the formations and links them with ancient symbolism and spiritual insight. which the viewer can experience in this presentation. ‘Circle Chasers 2007’ Duration 43 minutes. 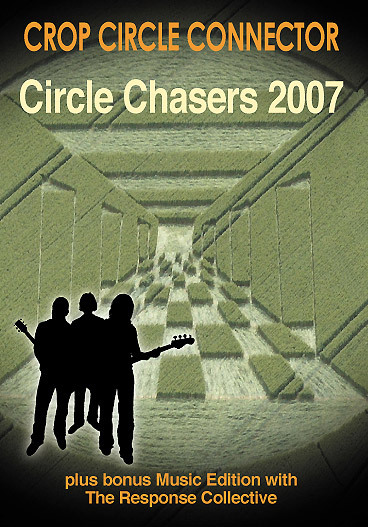 Plus a special Music Edition of Circle Chasers 2007.
accompanied our 2007 video presentation ‘live’ at Alton Barnes. and Computer based DVD-R ROMS, check this link. before buying.